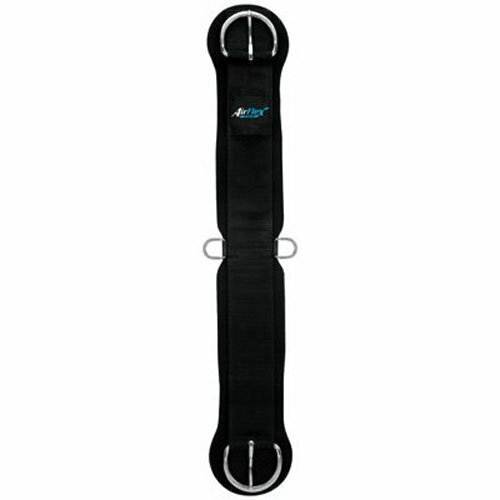 The AirFlex Cinch offers the ultimate in cinch design. With the perfect combination of breathability, comfort and performance, the AirFlex Cinch is constructed from white cool flex foam that will not absorb heat like traditional black neoprene. This patented, state-of-the-art performance cinch features a unique airflow channel design that helps prevent heat from being trapped and maximizes air circulation. From cutting a cow to trail riding, riders of all types will appreciate this cinch's design. Plus, this cinch is easy to clean by simply hosing off after each ride. Padded flex edges move with your horse for extra cushioning and enhanced performance. Non-rust stainless steel hardware. U.S. Patents #6,993,893 and #7,340,873. The Smart Cinch with patented Roll Snug Cinch Buckle gives riders extra leverage for easier cinching. 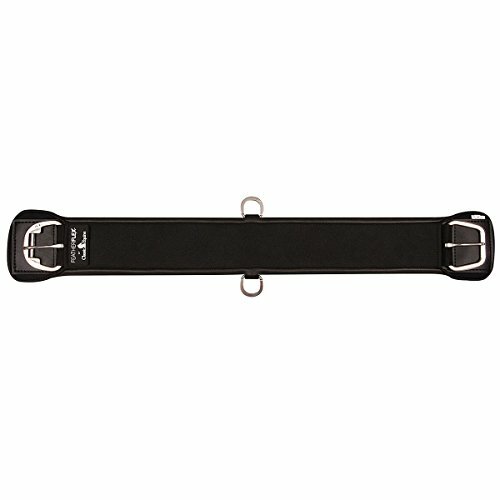 The buckle's unique, two roller design has helped thousands of users, from recreational riders to professionals, get reliable performance they can count on ride after ride. Cast rather than welded, this buckle is seamless and streamlined for a modern look and added durability. Roller system features a narrow channel for less play and smoother rolling and positions latigo more securely, giving you a straight pull every time. Buckle tongue has a thick, long shape and a hooked tip that helps keep your latigo more secure. 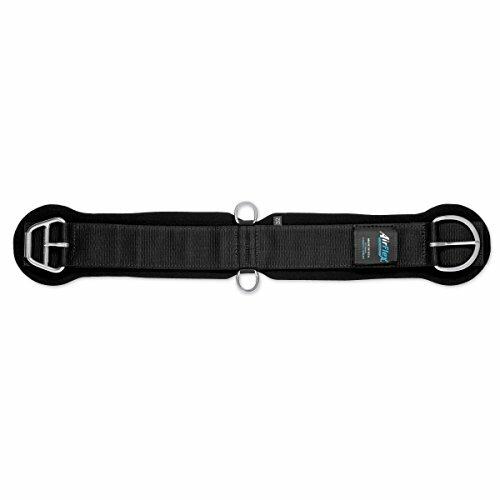 This cinch features a breathable 1/2 inch wool blend natural felt bottom with a Black poly webbing top. Features the patented roll snug cinch buckle that makes cinching a breeze. Nylon off billet holder. Handcrafted by craftspeople in Holmes County, Ohio, this premium quality cinch is made from 100% mohair from Angora goats. This mohair offers a soft, luxurious feel, a rich luster and outstanding durability. Known as "the diamond fiber", mohair can be twisted and bent without causing damage adding to the dependability and durability of this cinch. Mohair wicks away moisture for added comfort to your horse and for maximum breathability. While mohair cinches are known for stretching for a perfect fit, they always return to their original size due to the fiber's elasticity. This cinch also offers easy care. Dust and dirt can generally be removed by shaking and brushing the cinch. Sunset harness leather off billet holder. Non-rust stainless steel hardware. Classic Equine Feather Flex Straight Cinch Extra soft, non-chafing virgin neoprene is self-lubricating and reduces girth itch under extreme conditions. Antimicrobial and Antifungal. Stainless steel hardware will not rust. Designed to eliminate twist and distortion . 31 strands.